DevOps Training and Certification Course | Cape Project Management, Inc. This course is based upon a combination of slide-based lecture and interactive exercises and case studies. Free access to our Scrum Developer Certification Practice Exam. If you are planning to get your Professional Scrum Developer certification (PSD 1) from Scrum.org , our 80 question practice exam is a perfect way to prepare. All class participants receive free 30 day access to this practice exam. of Cape Project Management, Inc. and a lifelong project manager. He has embraced Agile as the most effective way to manage software development projects. He has been managing mission critical projects and developing training for over twenty years and is passionate about improving project team performance. 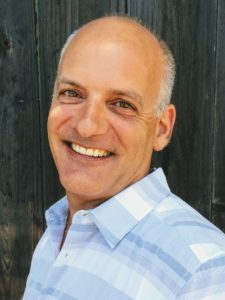 Dan holds a Bachelor of Science in Industrial Engineering from the University of Massachusetts, Amherst and is a Certified Project Management Professional, Professional Scrum Master, PMI Agile Certified Practitioner, Certified Scrum Product Owner, and Certified Professional Scrum Developer. with detailed knowledge of Operations, Quality, and Technology, who has deep experience in implementing Scaled Agile & DevOps at Portfolio, Program and Team level. He has a hands-on management background including strategy, planning, execution and P&L management of up to $30M. He has practical knowledge of infrastructure, application architecture, design, development, cloud deployments, process optimization, operations, data centers, and disaster recovery. He is a SAFe SPC and a certified SAFe DevOps trainer.